On the 18th (Sat), take an in-depth tour of Museo del Oro Zenu, then contemplate the long history of Plaza Santo Domingo, and then pause for some serene contemplation at Sanctuary of Saint Peter Claver. On your second day here, step into the grandiose world of San Felipe de Barajas Castle, make a trip to Plaza Bolivar, and then steep yourself in history at Walled City of Cartagena. To find ratings, traveler tips, where to stay, and more tourist information, refer to the Cartagena travel itinerary planner. Toronto, Canada to Cartagena is an approximately 14-hour flight. Traveling from Toronto in February, things will get warmer in Cartagena: highs are around 36°C and lows about 28°C. Wrap up your sightseeing on the 20th (Mon) early enough to travel to San Andres Island. 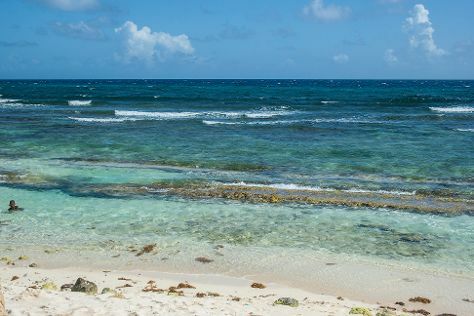 On the 20th (Mon), tour the pleasant surroundings at Playa de San Luis, pause for some serene contemplation at Primera Iglesia Bautista, and then step off the mainland to explore Johnny Cay. Here are some ideas for day two: make a trip to Blow Hole, look for all kinds of wild species at La Piscinita, and then stroll through Playa de Spratt Bight. To see reviews, maps, more things to do, and more tourist information, use the San Andres Island holiday planner. Traveling by flight from Cartagena to San Andres Island takes 2 hours. In February in San Andres Island, expect temperatures between 34°C during the day and 28°C at night. Wrap up your sightseeing on the 22nd (Wed) to allow time to travel to Medellin. Get a sense of the local culture at Pueblito Paisa and El Castillo Museo y Jardines. 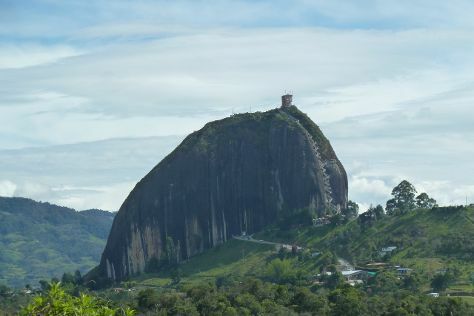 Escape the urban bustle at Piedra del Penol and Arvi Park. There's much more to do: don't miss a visit to Plaza Botero, get engrossed in the history at Museo de Antioquia, take in the architecture and atmosphere at Iglesia de Nuestra Senora del Carmen, and meet the residents at Parque Explora. To find reviews, other places to visit, where to stay, and more tourist information, go to the Medellin vacation trip planner. Fly from San Andres Island to Medellin in 2.5 hours. Traveling from San Andres Island in February, you can expect nighttime temperatures to be a bit cooler in Medellin, with lows of 20°C. You'll have a few hours on the 25th (Sat) to wrap things up before traveling home.